Cross-posted from The H Word blog, where this was first posted on 27 January 2014. Yesterday [26 January] was Australia Day and, thanks in part to social media, it seems to have been more overtly contested than ever before. As a much-shared piece on this website stated, for many Australia Day is a time for mourning, not celebration. Marking the anniversary of the arrival of the 11 British ships known as the First Fleet in 1788, its choice as a national holiday has long been contested. In my Twitter feed, #invasionday was more prevalent than the trending Happy Australia Day. 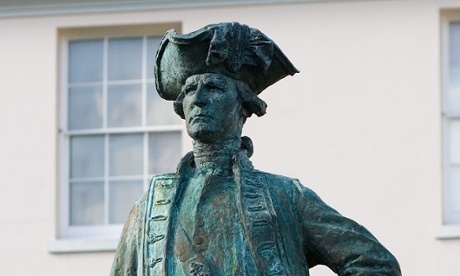 As a historian of science working on the history of 18th-century navigation, I’ve noticed how often Captain Cook appears as the symbol of the British invasion. Yesterday, for example, Australian comedian Aamer Rahman joked on Twitter that he had a Cook-shaped piñata to celebrate the holiday (that wept white tears when hit) and, earlier in the week, Cook’s family cottage was graffitied with slogans, including “26th Jan Australia’s shame”. This is odd, in some ways, as Cook died nearly a decade before the Fleet sailed. He did not invade or settle, nor, even, was his ship the first European contact with Australia. However, the fact that his cottage was vandalised in Melbourne, having been moved from Yorkshire in 1934, perhaps tells us almost everything we need to know about how Cook’s reputation has been welded to his brief visit to Australia and has been both near-deified and villainised ever since. In illustration of the complexity of Cook’s legacy, ex-pat New ZealanderVicky Teinaki alerted me to a film on display at the Captain Cook Birthplace Museum in Yorkshire. The museum’s website describes it as “recording the reaction of contemporary communities to Cook’s legacy” and these, Vicky said, could be generalised into three groups: “acknowledging he was a great & brave explorer, anger at the white man diseases he brought, or ‘better English than French’”. The reaction from this side of the world depends, I think, on whether Cook is viewed as the military man – a blue-coated, gun-toting officer of the Royal Navy – or the explorer and man of science. He was, of course, both, for the categories are not mutually exclusive. On the Endeavourvoyage he was paid by and carried out the instructions of the Navy andthe Royal Society of London. He was both a vessel commander and one of two astronomers charged with carrying out a range of observations, including the 1769 transit of Venus and longitude determinations. Yet it is obvious that all the science undertaken on his and similar voyages was part and parcel of the process of exploration and colonisation. The transit of Venus observations were bound up with attempts to improve navigation and cartography, which, along with botany, geography and ethnography, provided information about how best to exploit new territories. Cook is, perhaps, less directly worthy of vilification than those who developed policies for colonisation and who governed societies that forgot the caution and respect that Morton had urged. Equally, however, he is among those to whom we might attach collective guilt for their role in making empire and exploitation possible. If Cook is guilty in this way, were not also many of those who stayed at home? Morton and the Royal Society, who linked their enterprise firmly to Britain’s imperial interests? John Harrison and the Commissioners of Longitude, who looked for ways to make long-distance sea voyages and the data they brought home more reliable? This train of thought led me to recall an interview I recently heard on Radio 4, with a scientist brought in to discuss the Moon’s potentially exploitable natural resources. How might we manage the claims of different nations (limited, in theory, by international agreement) and private companies (currently unlimited in law) to these minerals? Might this lead to conflict, injustice and over-exploitation? The planetary scientist pushed the questions away. We do not yet know if anything useful is there, he said, and no one yet has the resources to make lunar mining profitable. His aim is simply to find out what is there, not to worry about the consequences. Given what history tells us, it might seem better to resist looking. At the very least, it seemed shockingly blasé to say that any future conflicts, rivalries and ruination would have nothing at all to do with the curiosity-driven likes of him. Cook could not foresee the results of his actions. Understanding of the transmission of disease or the consequences of introducing alien species was limited; rivalry for worldwide empire was, as yet, in its infancy, and belief in the virtue of spreading European knowledge and values was firm. Cook is blamed because of hindsight, a little of which should always prompt a greater sense of responsibility today. This Friday sees the deadline for submissions to what will be the largest ever meeting of historians of science in the UK, and almost certainly the largest for at least a generation to come. With the individual submissions still to come in, this promises to be huge for the history of science, which usually counts conference delegates in the 10s or 100s. The event is taking place next year, 22-28 July 2013, in Manchester. It is officially hosted by the British Society for the History of Science, and is being co-ordinated locally by members of the University of Manchester’s Centre for the History of Science, Technology and Medicine. 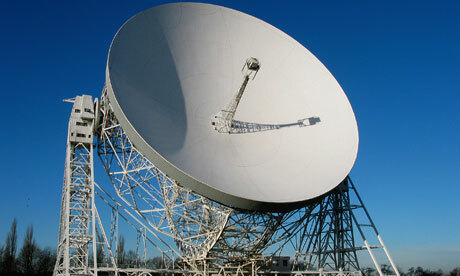 As well as an extremely full academic programme, the website promises to show off the history of science, technology and medicine in Manchester, “the original ‘shock city’ of the Industrial Revolution” withdisplays, events and tours, including to Jodrell Bank, the radio telescope of which has been appropriated to the event’s logo. As well as being large, the Congress, an activity of the Division of History of Science and Technology of the International Union of History and Philosophy of Science, will, of course, be very international. It will be an important opportunity for scholars working within very different contexts to get together. This is the 24th such Congress – they take place every four years, with recent meetings having been held in Mexico City (2001), Beijing (2005) and Budapest (2009). It has not been in the UK since Edinburgh in 1977. Probably the most famous of all the International Congresses of the History of Science was the second, in London in 1931. It was here thatBoris Hessen delivered his paper, “The Soci-Economic Roots of Newton’s Principia“. The great historical significance of the method created by Marx lies in the fact that knowledge is not regarded as the passive, contemplative perception of reality, but as the means for actively reconstructing it. For the proletariat science is a means and instrument for this reconstruction. That is why we are not afraid to expose the “terrestrial origin” of science, its close connection to the mode of production of material existence. Only such a conception of science can truly liberate it from those fetters in which it is inevitably trapped in bourgeois class society. Such international gatherings have often been stages on which politics can be performed. It was not just Hessen, but a whole set of Soviet delegates who took the audience by surprise in 1931. Their papers were gathered together and published as Science at the Crossroads, by Nikolai Bukharin. It was to provoke heated debate, touching a nerve in a time of crisis of capitalism in the west. I am told by old hands that Cold War politics coloured the Congresses of the 70s and 80s. Things have changed again, but I suspect that there will be lively interest in the diversity that continues to exist when the field is seen at its broadest. The British organisers, naturally, are interested in showcasing the wealth of resources and scholarship that can be found in Manchester and the UK. Beyond that, it would be great if the size of the event can help raise awareness of the discipline. I will be there, as one of the co-organisers of a symposium on current history of science research taking place in, or in partnership with, museums. There is plenty to choose from: Arabic science, paleontological specimens, radio communication, Chinese natural knowledge, science at war, theology and science, ancient astronomy, east-west encounters, gender and knowledge, mathematical institutions, and much, much more – including the history of the sauna and new insights into bicycle history. This seems to be a good year for anniversaries in the history of science, particularly 50th anniversaries. Science studies clearly turned a corner in 1962. I have already mentioned the anniversary of Thomas Kuhn’s The Structure of Scientific Revolutions, and there has been much attentionon Rachel Carson’s now-classic Silent Spring. This year also sees one of the discipline’s leading international journals, the British Journal for the History of Science, turn 50. The British Society for the History of Science, which supports the BJHS, has been reflecting on the journal’s history and celebrating the anniversary by making a selection of past articles free to access. This moment – when academic publishing is being scrutinised with questions of open access, impact ratings, and the role of print in a digital world – is an interesting one in which to reflect on the past and future of a journal. Will it continue to build up on my bookshelves, in physical form? What was the journal’s role in defining and cementing the discipline? Which articles have been most influential? How have our interests changed over the last half century? An inattentive reader comparing the first with more recent issues of the BJHS might be forgiven for thinking that not much has changed in the history of science over the last fifty years. The subject matter looks remarkably similar – papers on the history of institutions, communication technology and genetics all continue to be written about in the Journal and elsewhere. But a detailed reading … reveals an entirely different approach…. One of the things that James notes is that four out of the five contributors to Issue 1 were scientists. In 1962 there were only a few tiny enclaves of professional historians of science. Today, although the discipline is still not large, the vast majority of articles in the BJHS are by academics working in history, history of science and science studies departments. The journal was a sign of this nascent professionalisation. The change in the content of the BJHS thus chiefly reflected the way in which professional historians of science sought to differentiate their approach from what came before. In particular there was a rising interest in the social, cultural and economic contexts in which science and technology were developed and used. As a result, there was a reduced focus on the specialist technical content of scientific publications. There are other changes. For example, Andrew Gregory, examining “Greek astronomy and its debt to the Babylonians”, notes that the last century saw a gradual shift away from a “great cultures” understanding of the development of science, to one that takes interest in a wider range of cultures. Historians now take note of the many routes through which knowledge has been transmitted, and have developed an interest in these cultures for their own sake, rather than purely for that of developing a story of progress from great civilisation to great civilisation. As with so much academic research, the BJHS is not free to access. University libaries usually subscribe and members of the BSHS receive a print subscription and digital access to the whole 50-year back catalogue. Profits are shared between the publisher, Cambridge University Press, and the Society. It is a reasonable model compared to some, since it benefits the discipline as well as CUP, and there will, increasingly, be Research Council-funded research that will need to be made publicly accessible. It seems a good omen that the Society and CUP should have decided to mark the anniversary by making a selection of articles open access. The list has been put together by two eminent former editors of the journal,Simon Schaffer and Janet Browne, and there are some corkers. There is much in these physical and digital pages that is worth revisiting. It continues to provide food for thought, despite changes in fashion and developments in scholarship. Here’s to BJHS’s next 50 years! The March of Progress, first published by Rudolph Zallinger in 1965. Its over-simplified presentation of evolution is just as misleading as “whiggish” histories of science. Two anathemas of academic historians of science have been attracting a certain amount of interest in the history of science blogo-twittersphere lately. One is whiggishness and the other heroes, the two of which often come together in history writing and broadcasting aimed at a broad audience. Two things kicked this off. One was a piece, Two Cheers for the Whig Interpretation of History, by William Cronon, president of the American Historical Association. The other was the advertising of a lecture on Heroes of Science by Roger Highfield, which took place last week at the Royal Society. To be clear what we’re talking about, read Cronon’s piece. He offers a great introduction to the concept, and its originator, Herbert Butterfield. He concisely explains that Whig histories tend to “praise revolutions [for history of science, we could read novelties, ideas or individuals] provided they have been successful, emphasise certain principles of progress in the past and produce a story which is the ratification if not the glorification of the present”. Such history tends to be triumphalist, presentist and linear, although also uncomplicated, narrative and with an in-built claim to relevancy. Because it picks winners and weaves its narrative from the threads of winning ideas – as judged from a modern standpoint – it tends to include heroes (forward-thinking folks who, in C P Snow’s wrong-headed phrase, “have the future in their bones”) and their adversaries (obstructive villains, stuck in the past). Science does not, and did not, happen this way. This is generally agreed, yet a defence of the approach has been offered in several of the recent posts, comments and talks. The view is that heroes and linear, progressive narratives are required if we want a wider public to read our work or to be inspired by history, science or, indeed, history of science. I find it hard to accept that it is only by distorting the facts that we can be relevant or inspirational. Is it only by feeding children tales of great men and a triumphant march to the present that they will ever take the bait and bother to read more? Can the general public only stomach fairy tales about heroes and villains? Firstly, particularly for those who see history of science as a vehicle for science engagement, I want to offer an analogy. 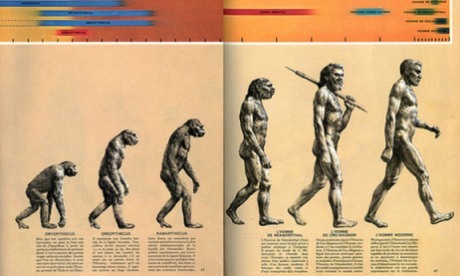 It is the “March of Progress” illustration of human evolution: linear, progressive, uncomplicated and misleading. It is an iconography that, as Brian Switek put it on Twitter, “needs to be dumped”. Last year, Frank Swain placed it among his list of Five iconic science images, and why they’re wrong, and a few days ago, Glendon Mellow explained that an alternative icon of evolution by natural selection “should totally be a jumble of primates jockeying for position and way more crowded”. That sounds very familiar to me. The analogy isn’t perfect, but it is emphatically the case that science’s history should be similarly crowded and full of tangents, dead ends and competing approaches. The question is how to capture such complexity in an elegant way, not whether or not we should give up on the task. Secondly, for those writing or talking about history, I want to question the purpose and motivation of reaching wider audiences. The fact that for most lay readers history is entertainment is used as the excuse that only already-acceptable, rip-roaring yarns will do the job. But if it is history, it is being presented as fact (or our current best knowledge and interpretation of fact) and readers are unfairly being led astray. I disagree that history necessarily has to commit the sins of presentism by judging events or people by today’s standards, to seem relevant. Rather, I think that one of the most useful things that history can do for us is to demonstrate that today’s (or our national, class or any other kind of) standards are not the only ones by which things can be judged. Just as meeting new people and travelling to distant parts of the world can provide essential perspective on our lifestyles and values, so can travelling to the past. We should be prepared for the fact that things that seem obviously right to us today will not seem so in the future. It is not good enough to say that we can entice people with simple stories in the hope that, if they enjoyed it, they will read more and understand better. Most will simply be stuck with the first version – hence the continued existence of science textbook-style history. Rather, our job is to find engaging ways to tell the fuller and more meaningful story. There have been many writers who have claimed that history can be, or should be, scientific. Different things are meant by this, of course, and such statements are provoked by different motivations, although generally they trade on the perceived successes, rewards, professionalism and certainty of the sciences. There have, historically, been two opposing trends in “scientific history”. In one case the claim is that patterns and laws can be found if the historic record is studied in the right way. The ideal model has variously been Newtonian physics, statistics or mathematics. In the other, the “scientific” element is careful observation and recording, in the manner of natural history. These approaches produce radically different histories, and can underlie very different attitudes to, for example, the importance of individual agency. Looking for broad patterns, or for the detailed “facts” among the archival or tangible remains of history, are natural impulses, found throughout humanity’s attempts to understand or make use of the past. The claim of being “scientific” is a more recent phenomenon, dating from the cultural success of science in the 19th century. I have written a couple of posts on my former blog relating to these 19th century debates, including in a review of Ian Hesketh’s book The Science of History in Victorian Britain. Henry Buckle is, here, the example of broad-sweep pattern-finding, while JR Seeley and the new breed of professional academic historians looked for legitimacy by focusing on detailed examination of primary sources. I do not believe that history can predict the future (although I certainly think that important lessons can be learned) but, as Hesketh suggested to me on Twitter, some sort of proof of patterns would seem to be suggested by the regular revival of such approaches. The latest comes from Peter Turchin of the University of Connecticut, who coined the term “cliodynamics” in 2003 and was recently interviewed for Nature. The approach, which uses mathematical modelling to analyse interactions between and long-term trends in social and demographic systems, has a number of advocates and there has even been a journal since the end of 2010. As the Wikipedia article on cliodynamics suggests, its practitioners attempt “to explain ‘big history’ – things like the rise of empires, social discontent, civil wars, and state collapse”. Things, therefore, that capture the popular imagination, that might just convince those in power that this is useful knowledge and – significantly – things that academic historians, focused on primary sources and “micro-histories”, have perhaps tended to neglect. Further doubts are voiced at Scientific American blogs, with Maria Konnikova’s post, “The humanities aren’t a science: stop treating them like one”. What caused the collapse of the Roman Empire? More than 200 explanations have been proposed, but there is no consensus about which explanations are plausible and which should be rejected. This situation is as risible as if, in physics, phlogiston theory and thermodynamics coexisted on equal terms. The recent interview notes that academic historians are deeply sceptical about cliodynamics. This is not (just) a knee-jerk defence against interlopers from the sciences claiming that they know better than those who have trained long and hard in the ways of more standard approaches to history. There are many historians today who understand that other disciplines can offer us a number of useful tools. But their experience and training also helps them to understand that historical data is a complex business. Turchin writes that his analysis is based on his collections of “quantitative data on demographic, social and political variables for several historical societies”, but, strikingly, gives no indication here of what his sources might be. The interview states that he and colleagues drew “on all the sources they can find – historical databases, newspaper archives, ethnographic studies”, and, from these, somehow locate factors such as “indicators of corruption … and political cooperation”. Just how, I wonder, do they do that, across several cultures and vast stretches of time, with any degree of confidence? The detailed studies of historians have amply demonstrated that information contained in their sources cannot be taken on trust or treated equally. We need to have detailed understanding of the terminology of the period, their methods of collecting information, their political interests in sharing (or hiding) it and a sense of who was writing, who reading and why. One has to wonder just what “political” and “violence” mean here, let alone “50-year cycle”. And, just because the Civil War was within the country, why is it counted and the 1812 and Second World Wars ignored? Treating data like this and pulling out results like these seems to do neither science nor history any favours. Last month I had the pleasure of attending the quadrennial Three Societies conference – a joint meeting hosted alternately by the US-based History of Science Society, the Canadian Society for the History and Philosophy of Science and the British Society for the History of Science. This year the HSS were hosting in Philadelphia. As the HSS’s website states, it is “the oldest such society”, having been founded in 1924 as a means of supporting the history of science journal, Isis, itself first published in 1913. This was the very earliest dawn ofhistory of science as an independent and professional discipline. The scientific past as a topic of interest has, of course, a much longer history – one we could trace right back to the earliest biographies of figures that we would now identify as “scientific” – but it is a little-known fact that there was an earlier HSS – the Historical Science Society – nearly 80 years earlier than the American one. The first HSS, founded in 1840, was also focused on publication, in this case being close to the model of the Camden Society, founded in 1838, or the Hakluyt Society, founded in 1846, for the publication of manuscripts or rare texts in scholarly editions. This period, when printing was becoming cheaper and literacy rates and leisure time were increasing, saw the first great push in the business making primary sources more widely available. It was, arguably, akin to the 21st-century explosion in digital archives of printed and manuscript material. It provided new opportunities and new audiences for those with expert knowledge and access to key archives. This period also, not coincidentally, saw a push in the history of science – with the publication of William Whewell’s History and Philosophy of the Inductive Sciences being the most ambitious example. The Historical Society of Science could have been the signal of a bright new dawn in the field, one solidly based on knowledge of the primary sources. Significant antiquarian and scientific figures gave the enterprise their blessing (George Peacock, Augustus De Morgan, Francis Baily andBaden Powell all joined, bringing the membership up to a mximum of 179). And yet, unlike the Camden and Haklyut Societies, this HSS barely lasted three years, although it nominally existed until 1846. Was the problem an intrinsic lack of interest in the minutiae of Letters Illustrative of the Progress of Science in England from the Reign of Queen Elizabeth to that of Charles the Second and Popular Treatises on Science Written During the Middle Ages (the only two publications produced under the auspices of the Society)? Possibly so, especially as Halliwell’s antiquarian approach did not suit key figures who might have supported his enterprise: Whewell was interested in grand synthesis, not archival minutiae; De Morgan felt there was insufficient rigour and knowledge brought to the analysis. However, the kiss of death was the scandal that hit its founder, James Orchard Halliwell. Better known now as a Shakespeare scholar, Halliwell had risen to notice at Trinity College, Cambridge, where Whewell was Master and Peacock his mathematics tutor. He was something of a prodigy, elected a Fellow of the Royal Society in 1839, before he was even 19. Several manuscripts from his Cambridge collection were purchased about 1843 by the trustees of the British Museum from Rodd, the bookseller, to whom Halliwell had sold them in 1840. In 1844 it was discovered that many of these manuscripts had previously belonged to the library of Trinity College, Cambridge, and had been missing from that library for five or six years. That the manuscripts were abstracted from Trinity College admitted of no doubt, and Whewell, the master of Trinity College, demanded their restoration at the hands of the trustees of the British Museum. 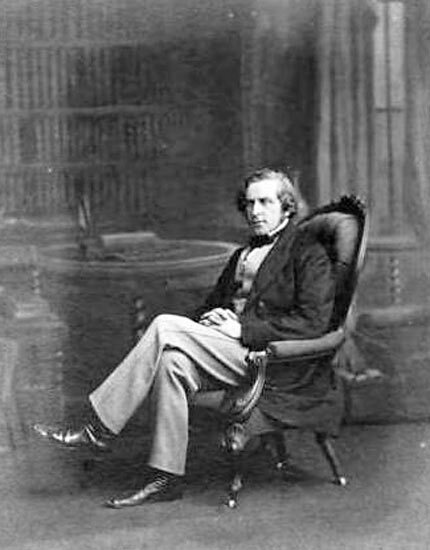 Sir Henry Ellis, the chief librarian of the Museum, began an investigation, and on 10 Feb. 1845 issued an order forbidding Halliwell to enter the Museum until the suspicions attaching to him were removed. After many threats of actions at law on the part of all the persons interested, the matter dropped; the manuscripts remained at the Museum; but the order excluding Halliwell from the Museum was not rescinded. Halliwell asserted in a privately printed pamphlet (1845) that he had bought the suspected manuscripts at a shop in London, and his defence proved satisfactory to his friends. De Morgan was one of those who forgave him, but it seems unlikely that Whewell or Ellis, both of whom had supported his admittance to the Royal Society, did. While Halliwell continued a career in the study and publication of manuscripts, this venture in historical scientific publication was doomed to failure. It is eminently likely that Halliwell did “release” the manuscripts from Trinity. It is interesting how, very occasionally, those with a passion for such rarities have a sense of possession that slips over the line of legality. Another such case of this period, and within the same circles, was Guglielmo Libri – a mathematician named “books” who turned to history and, in the course of inspecting libraries and researching his History of Mathematical Sciences in Italy, stole thousands of unique items. Security, cataloguing and digitisation all make theft much more difficult, and identification much easier, than in the early 19th century. It is unlikely that these genuinely gifted scholars would have been so tempted had they been sitting in Trinity College Library or the Biblioteca Medicea Laurenziana today. Although, as with plagiarising or faking results in science, such things do occasionally – still – happen.